At Piranha NYC, we launched an internationally driven campaign to raise awareness for Japan’s northern region of "Tohoku", aimed at the American market. When most of the tourist flow go south to visit the "traditional Japan" and crowded cities, we sent 4 americans up north to experience in an organic and authentic way the jewels of this outdoorsy region. 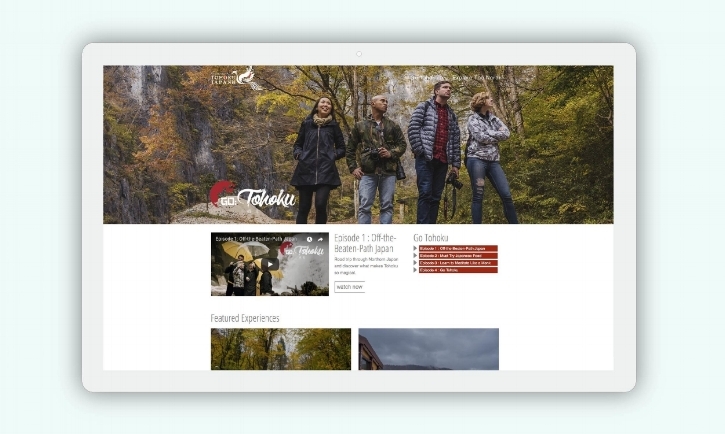 After establishing a strategy combining micro influencers and high value production for the tourism industry, we also produced in house the integrity of the campaign. The awareness driven campaign was mostly distributed on Facebook and generated 3.5+million views and 10 M + impressions. We also collaborated with travel venture Lonely Planet, with an featured article, publications on their website of the campaign as well as a print in their summer publication.